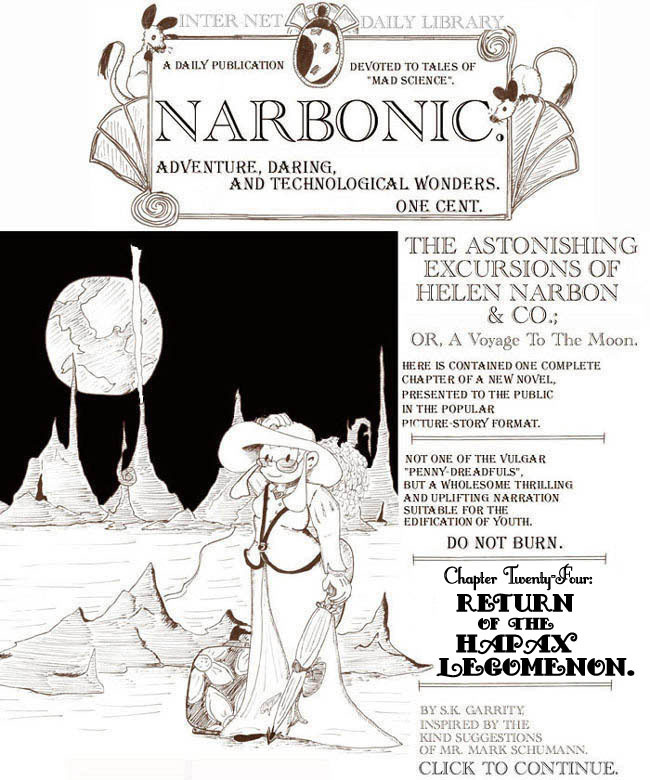 The Astonishing Excursions of Helen Narbon &Co, Chapter Twenty-Four. I put a lot of work into this chapter of the Victorian serial. I started work on it well ahead of schedule, so I could do four full pages and not rush them. It took time to cover everything in tiny lines, is all. Hands are hard to draw. You know what’s harder? Tables with lots of fiddly little instruments all over them. I could totally write an entire book in the voice of Victorian Dave complaining about his job. It’s so much fun. 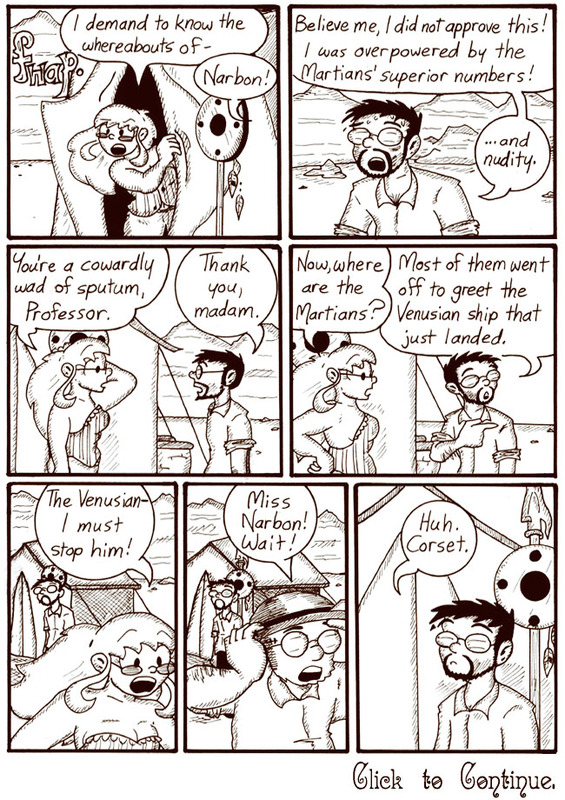 In the commentary on the last Victorian installment, someone asked why the Martians bothered to strap Helen onto a slab alongside the others, since they don’t end up transplanting her brain. The answer, of course, is so that they could strip her down to her suggestive Victorian undergarments. This is the kind of plotting that results when you accept Phil and Kaja Foglio as your Personal Life Mentors. 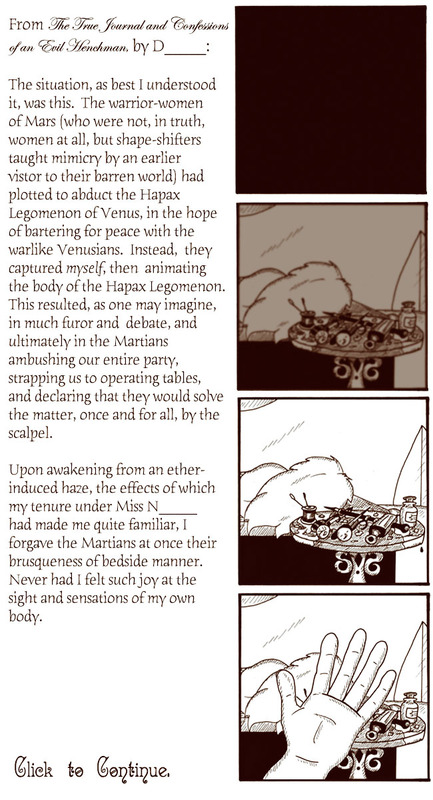 This is probably the best page of Madblood I ever did, Victorian or otherwise. Man, it took forever to draw this page. 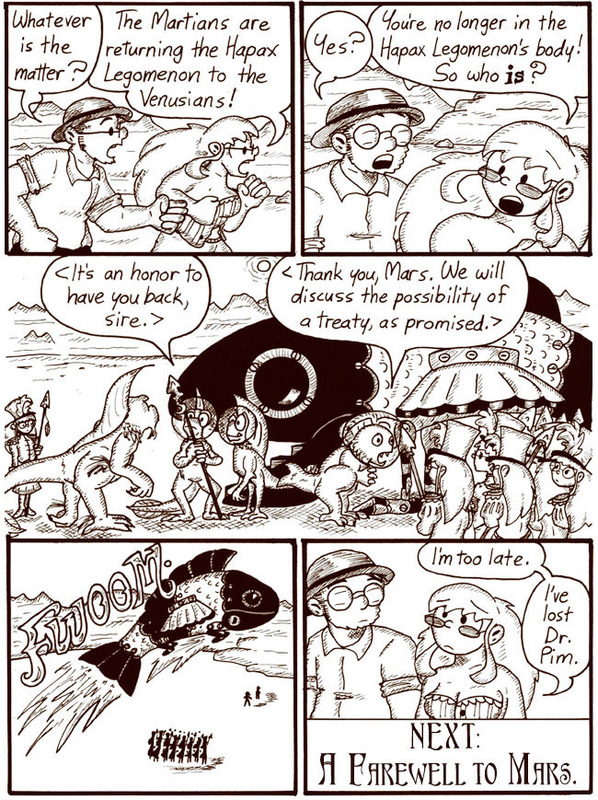 I hope you enjoy the fish-ships. Do they serve those fish-ships with real malt vinegar?